Athens needs to repay $1.8 billion to the International Monetary Fund by the end of the month. The failure of talks with creditors threatens its future in the euro. European Union officials blamed the collapse on Athens, saying it had failed to offer anything new to secure the funding it needs to repay 1.6 billion euros ($1.8 billion) to the International Monetary Fund (IMF) by the end of this month. Failure to keep Greece in the euro, after years of arduous negotiations and two emergency bailouts totalling 240 billion euros, would send it lurching into the unknown and mark a historic blow to the EU's most ambitious project. US-based economic analyst Jacob Funk Kirkegaard cast doubt on the Athens government's longevity. 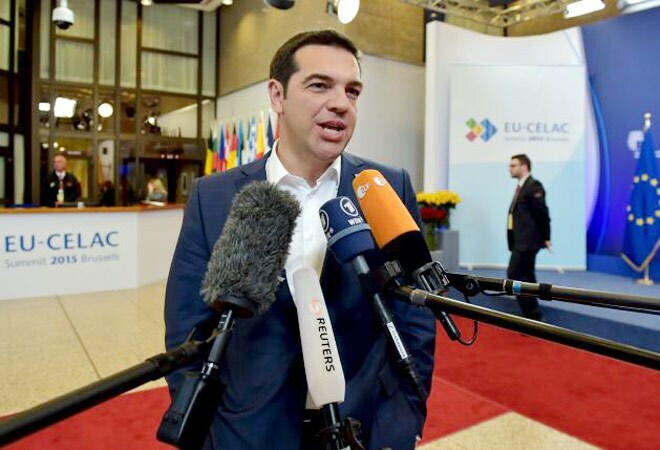 He said Europe seemed to be giving up on trying to coax Tsipras towards the political centre, opting for confrontation that might lead to "a new more realistic government". Athens faces immediate problems in repaying debts as the EU and IMF have not paid any money from Greece's bailout programmes since the middle of last year. On top of the IMF loan, it must also repay 6.7 billion euros when Greek bonds held by the ECB fall due in July and August.